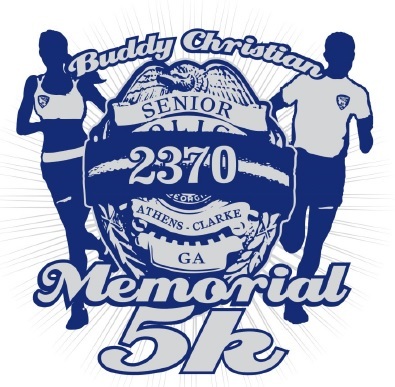 Come join the Buddy Christian Foundation for the Buddy Christian Memorial 5K at our new location at Pittard Park in Winterville GA. This run/walk will help raise money for the Buddy Christian Foundation which works to prevent line of duty deaths and assists the surviving family members of law enforcement officers killed in the line of duty. Timing and Results: Provided by Classic Race Services with results posted to www.classicraceservices.com, www.active.com, www.athlinks.com and www.coolrunning.com. Awards: Awards will be made to overall Male/Female, Masters Male/Female, and top three male/female runners in 5 year age groups beginning at 10 and under through 75 and over. Goodies: T-shirts will be guaranteed to all participants pre-registered by 11/11/2018 and as supplies last for participants that register later. Plenty of refreshments will be available after the race.